Thousands of people have taken to social media to express solidarity with the Parisian newspaper Charlie Hebdo that was attacked Wednesday by apparent Islamic extremists. At least 12 people were killed in the attack, and while the motive hasn't been confirmed, the newspaper has been attacked previously for publishing cartoons satirizing the Prophet Muhammed and Islam in general. Witnesses are also reporting the gunmen asked specifically for newspaper staff by name. The phrase "Charlie Hebdo" quickly became the top trending term on Twitter, and thousands took to using the hashtag "#jesuischarlie" or "I am Charlie" to show support. Even the U.S. Embassy in Paris switched its Twitter avatar in solidarity. A screengrab of the U.S. Embassy's Twitter feed on Wednesday morning, January 7, 2014. The Newseum in Washington, D.C., also announced Wednesday it is planning to project the hashtag #JeSuisCharlie on its atrium screen as a show of support for free expression. The Newseum says journalists around the world fight every day for the right to report the news, express ideas that others disagree with and ask questions that some don't want asked. Twitter France sent out a message saying that as of 1:30 p.m. 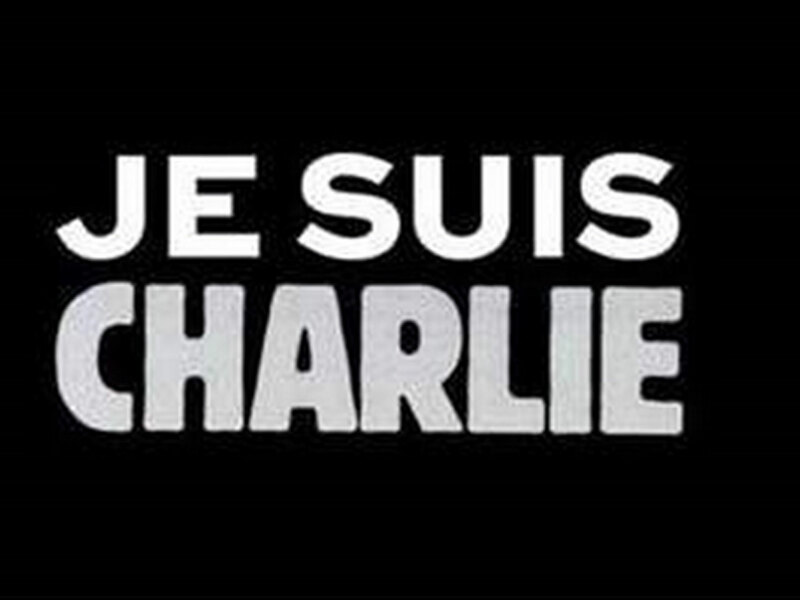 ET, #jesuischarlie had been used more than 650,000 times. Below are examples of the messages of support showing up on Twitter.